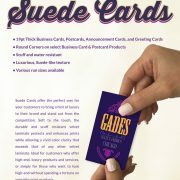 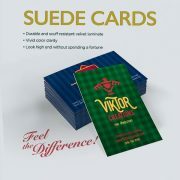 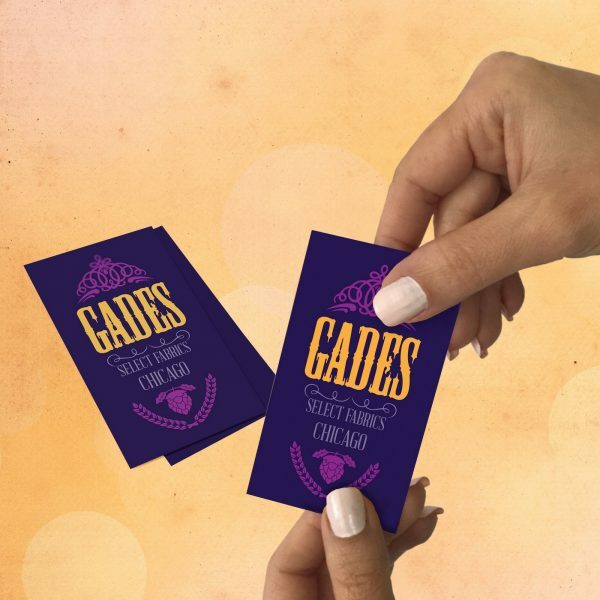 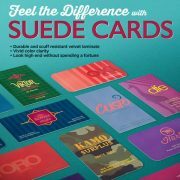 Suede Cards offer the perfect way for your customers to bring a hint of luxury to their brand and stand out from the competition. Soft to the touch, the durable and scuff resistant velvet laminate protects and enhances prints while allowing a vivid color clarity that exceeds that of any other velvet laminate. 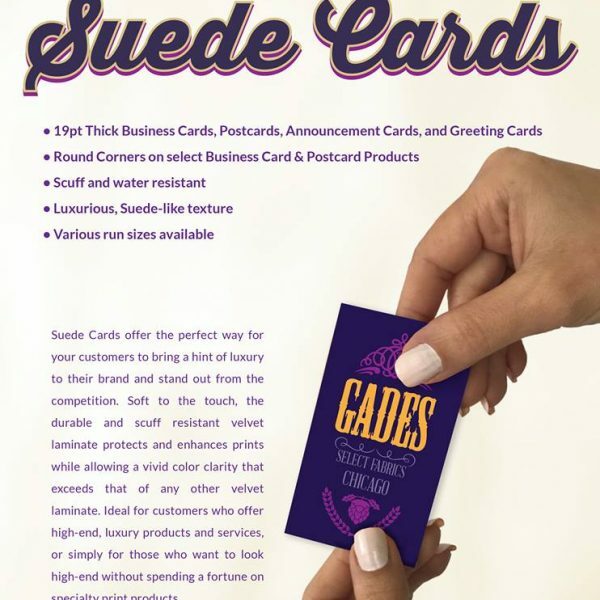 Ideal for customers who offer high-end luxury products and services, or simply for those who want to look high-end without spending a fortune on speciality print products.